STAR Teaching School Alliance » STAR Writers at Riverside! Pupils from STAR Alliance primary schools gathered at Riverside School during October 2015 for Year 6 Able Writers Days. Each term this year the pupils will spend a day working with a published author to both develop their writing skills and inspire them towards possible future career ambitions! 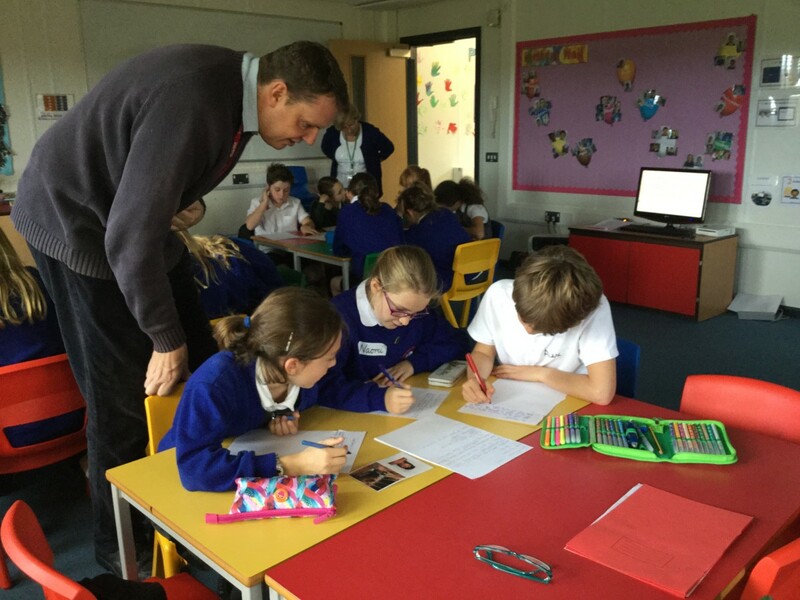 This term, they spent a day working with published childrens’ author Stephen Davies. “On Thursday 22nd October I went to the Play Place to meet Stephen Davies and to do Able Writers with some children from our school, as well as from some other schools. I was extremely excited! Emma and I were giddy and quite literally jumping for joy. When we got in we were seated at particular tables. I sat with Emma and Lucy. We were given a picture of a boy and a picture of his bed and told how to write a good story. Then Lucy, Emma and I had to think of things that described the boy’s background. We came up with a lot of random things. Our character was scared of doors!